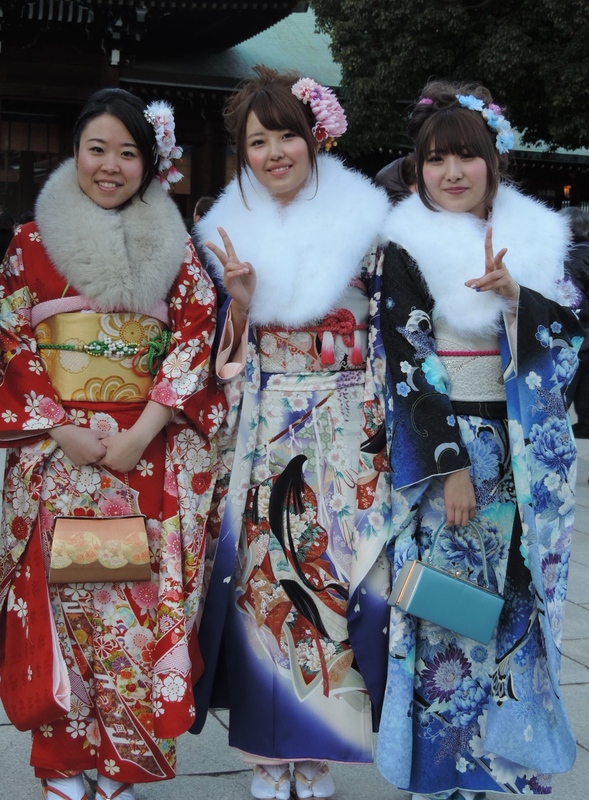 Yesterday was the coming of age day here in Japan, which celebrates young people reaching adulthood/the day of majority -20 years old. 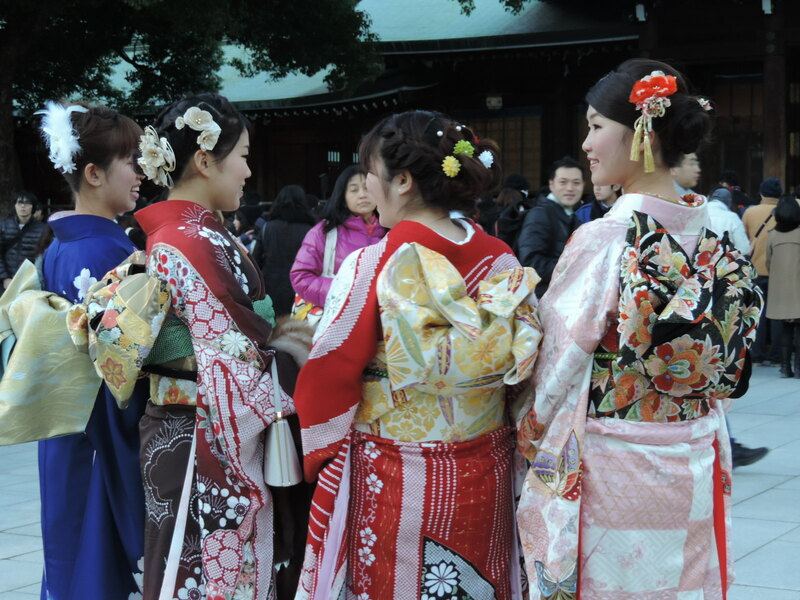 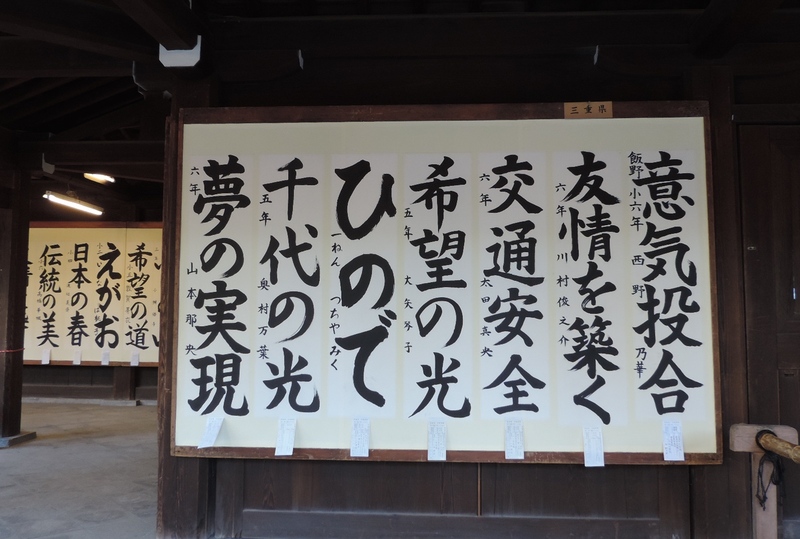 I visited the beautiful Meiji Shrine to catch a glimpse of the stunning traditional kimonos and ornate obi belts. 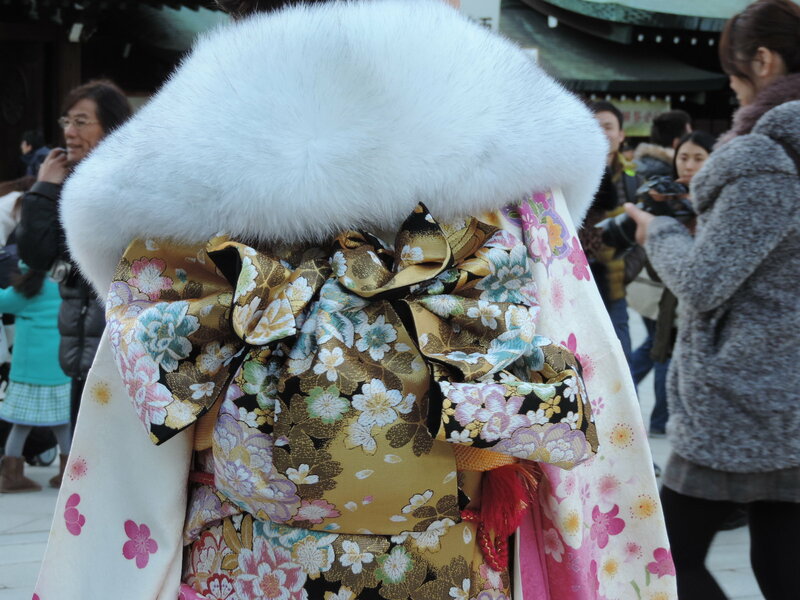 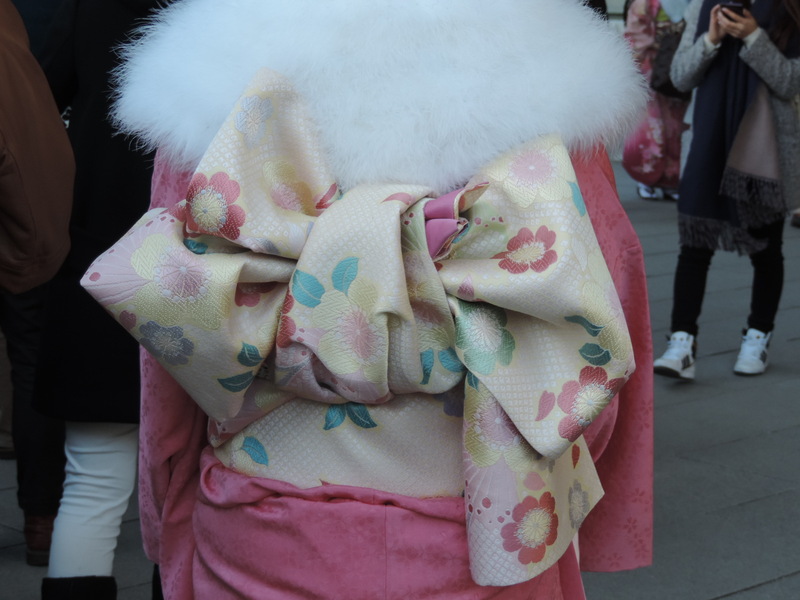 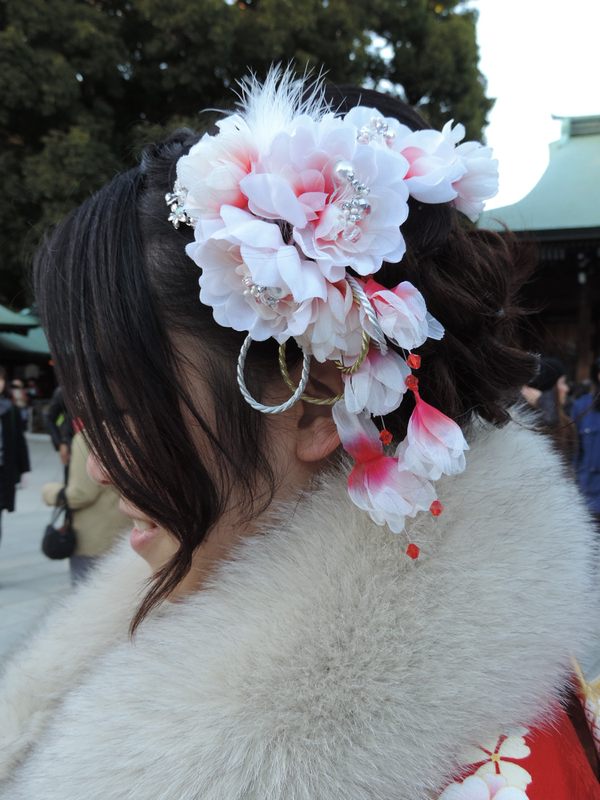 Along with the fur collars, kimonos and obi belts, elaborate hair pieces are worn.